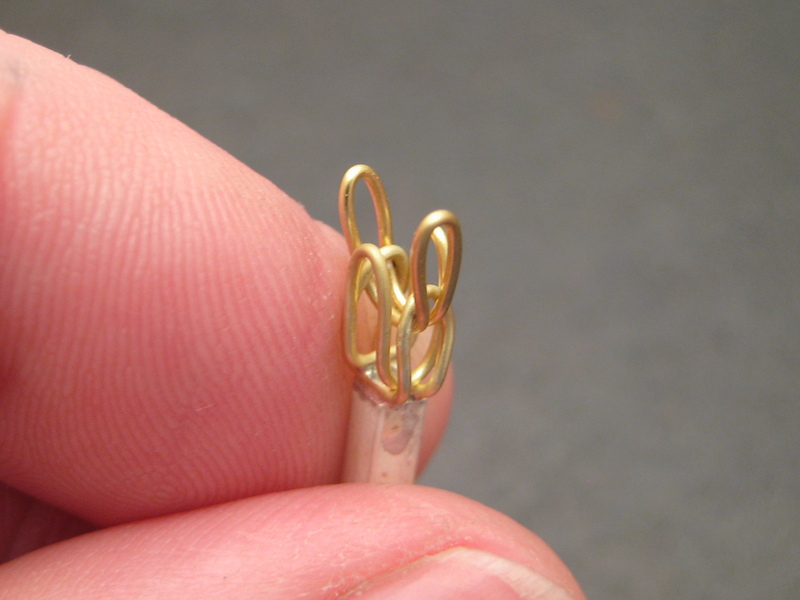 I use two of these suspect links and solder them to a 2 mm square silver rod at 90 degree angles. These become the foundation upon which the chain is built. 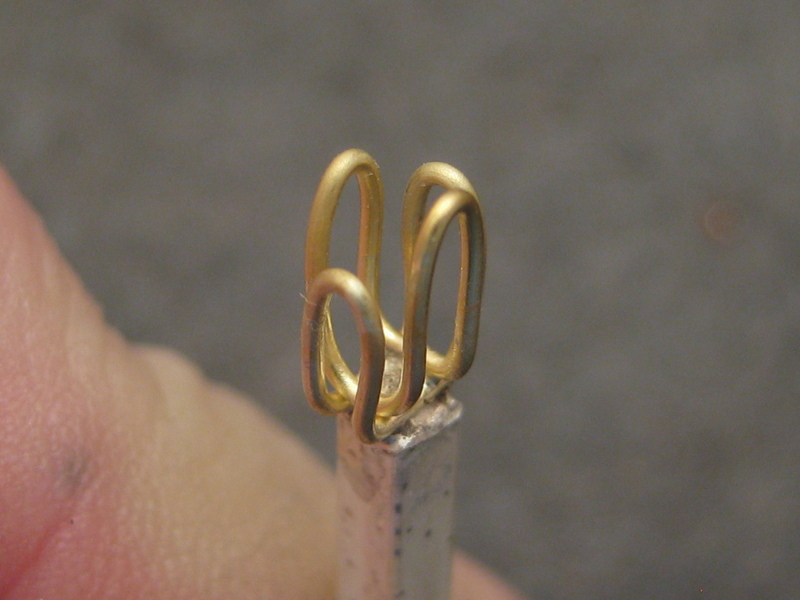 After they are soldered square and even they are bent upwards to become the first two links. Now I use an old beading tool which I have sanded into a long tapering point and mounted into a handle. This is what's used to open both sides of every link to facilitate the insertion of the next link. In a nutshell, the pattern is this. Each link is inserted through the last two links of its axis and on top of the links of the opposite axis and bent upwards. Oscillate from the x axis to the y and back again, repeat until all loose links are contained within a new chain, stop. 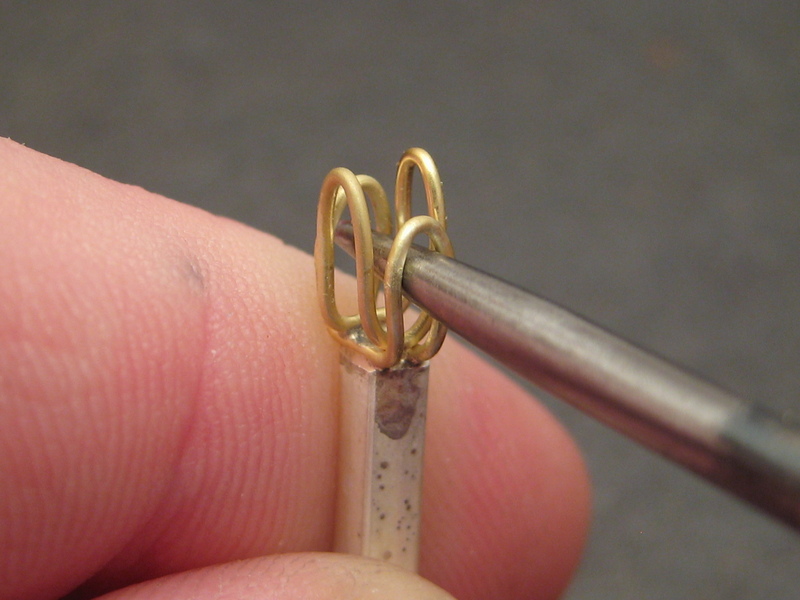 The physical weaving of a Roman Chain is at once the simplest, the most tedious and the most demanding thing a goldsmith may ever do in the course of a career. Most jewelers I know have only made one if any at all. It simply requires too much. Too much focus, too much time and too much energy. I start the weaving using nothing but the suspect links. If they are going to break later, it’s best that they break here where they will be cut apart from the rod anyway. I would advise virgin smiths to work in silence and focus your attention on your fingertips. Sometimes a bad link is devious enough to pass all previous tests and still make it into a chain. This is the last stand for that most evil of units. 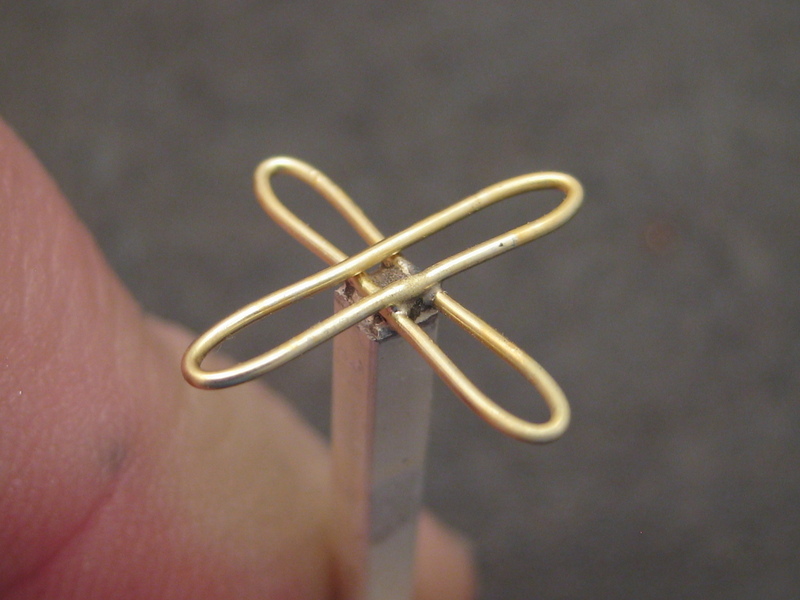 The bad ring will break or weaken when you bend it upwards. This is usually only perceptible to educated fingertips although sometimes a barely audible snap is heard. Just pull it out and melt it for it's good for nothing else. 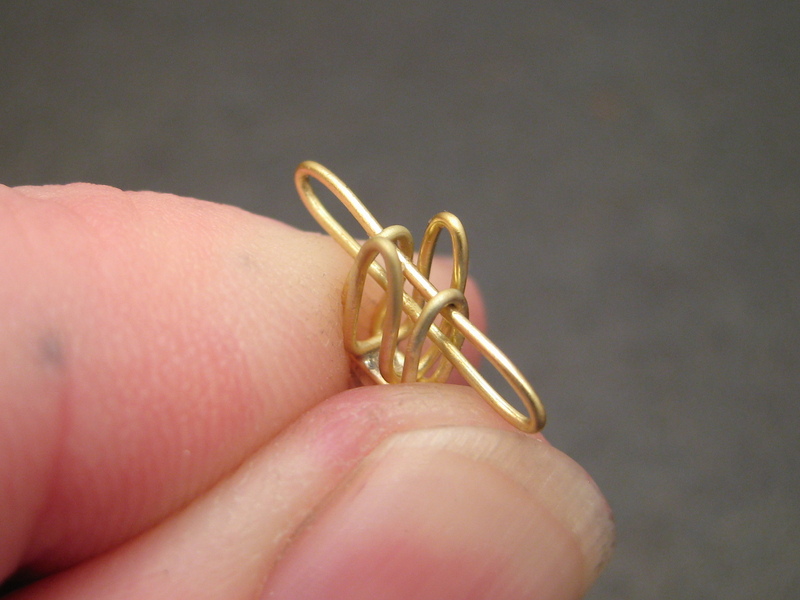 The weaving of a Roman chain must happen in one sitting. If too long a break is taken, namely overnight, a visual difference is apparent. The muscle memory changes and the next link won't bend quite like the last did. If I sound a tad obsessive about this process it's because I am. This is not a quest for perfection but regularity and it doesn't take much to derail that.